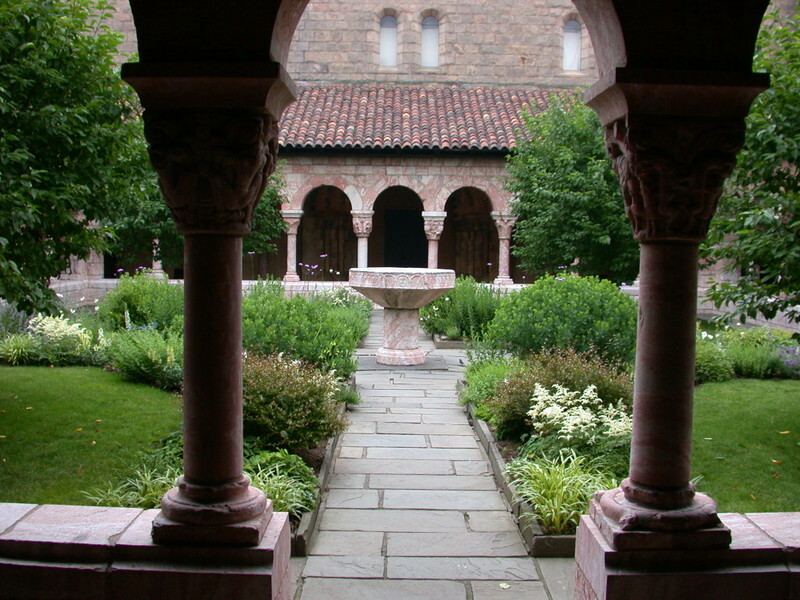 The Cloisters has just launched their own official blog - it's very nice to have company! In a nice display of publishing synergy, Museum Anthropology (the blog) has just reproduced color images to accompany an article recently published in Museum Anthropology (the journal), Crests on Cotton: “Souvenir” T-shirts and the Materiality of Remembrance among the Kwakwaka’wakw of British Columbia by Aaron Glass (vol. 31, no. 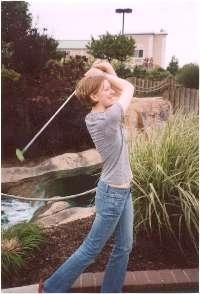 1 (spring 2008), p. 1-16). Note to our readers: You can access the article online (via Anthrosource) or consult our print copy (A C854). While in this instance the blog is meant to supplement the print and online journal, the journal will no doubt benefit from visits by blog readers wanting to know more behind the images appearing in the blog post. 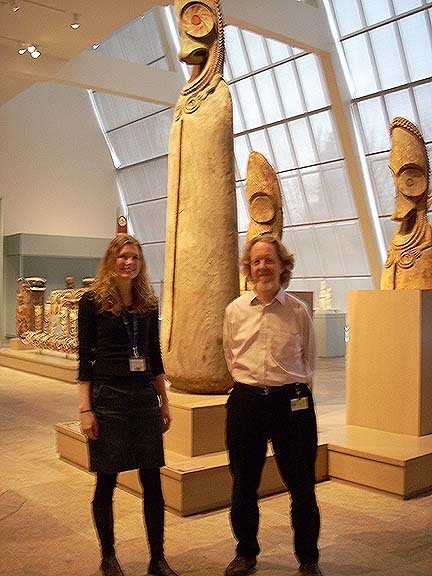 < March 28, 2008, Ross Day and Erika Hauser (Goldwater Library) in the newly installed Oceanic wing at the Metropolitan Museum of Art. via Sarah Falls @ ARLIS/NA at Altitude (The official blog of the ARLIS/NA 36th annual conference in Denver, Colorado May 1-5, 2008). This podcast runs best with iTunes. It can also be streamed from Ourmedia. 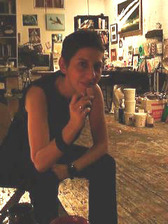 On March 28, 2008, I sat down with Ross Day and Erika Hauser of the Goldwater Library at the Metropolitan Museum of Art. We discussed their outreach efforts with web 2.0 technologies through such sites as Flickr, Wikipedia and with blogging. 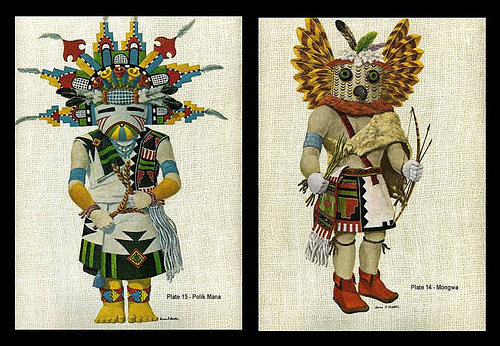 These illustrations are presumably © the estate of Homer H Boelter. 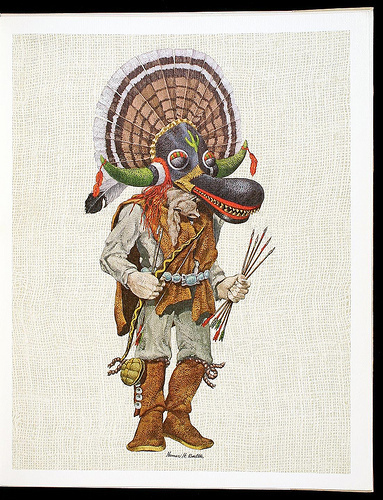 In 1969 Boelter published an album of lithographs of Hopi Indians - 'Portfolio of Hopi Kachinas' - limited to one thousand copies. The first illustration above comes from PBA galleries. The paired image and the balance of the sixteen plates in the series - and background - can be found at Native American Links. See the originals at the Goldwater Library! Just in time for Valentine's Day ... The blog Material World, the "online hub for contemporary debates, discussion, thinking and research centred on material and visual culture," invites its readers to participate in a forum to critique the recent re-installation of Metropolitan Museum of Art's Pacific galleries -- or to quote post author Haidy Geismar, "the enshrinement of Oceanic material culture 'as art.'" Geismar wonders aloud whether the galleries' new emphasis on authorship isn't in fact behindhand, and that in the end the display puts the objects' aesthetic properties ahead of their original social context. To salt the forum the original post includes commentaries from three authors: a descriptive and behind-the-scenes contribution by Fanny Wonu Veys, formerly a graduate intern in AAOA; and two critiques by academic authors outside the museum's walls, the latter focusing in part on the observations visitors overheard by the writer. 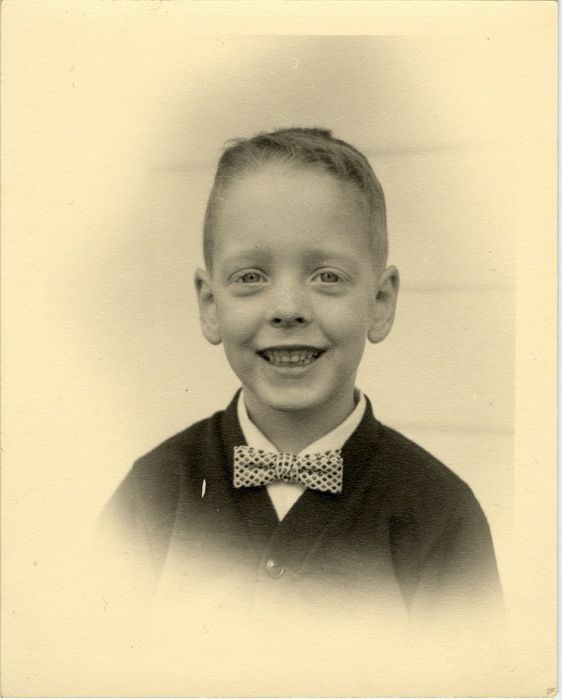 Ross Day (seen here in an earlier photo) is the head of the Robert Goldwater Library at the Metropolitan Museum of Art. Erika Hauser is a Senior Library Associate who enjoys dual citizenship between the Robert Goldwater and Thomas J. Watson Libraries.